Model and actress Kate Upton just shared the most casually adorable pregnancy news on her Instagram account Saturday morning. She dropped a simple hashtag, “#PregnantinMiami,” and a photo of herself wearing a red suit with a tiny baby bump. She also tagged her husband, Houston Astros pitcher Justin Verlander. The couple’s fans started sharing congrats on her post right away. “Congratulations Kate and Justin. God bless! What a precious baby it will be!” one commented. Verlander reposted his wife’s photo with a sweet message for her just a few hours later. 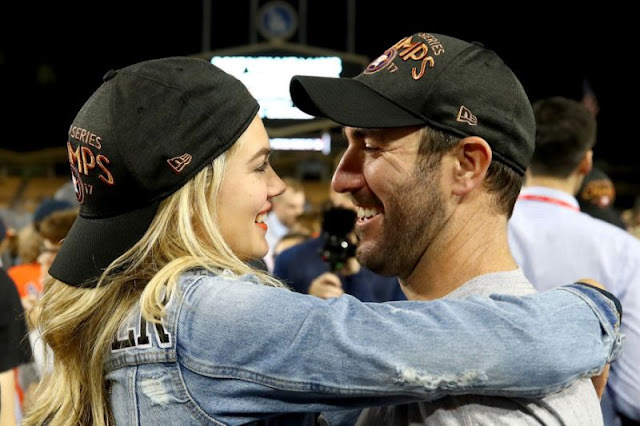 The Sports Illustrated model and Verlander, who first went public with their relationship in early 2014, tied the knot in 2017. She recently landed the top spot on the Maxim Hot 100 list. Upton appeared on the cover of Sports Illustrated‘s swimsuit issue in 2012, 2013, and 2017.